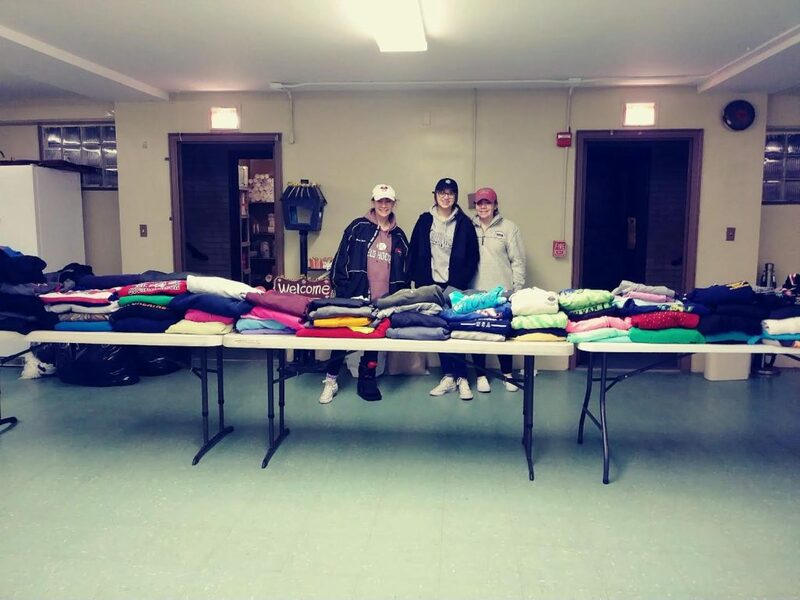 In an effort to showcase their radiating generosity, James Wilson Young Middle School’s Eighth Grade Class Club conducted a sweatshirt drive for those in need of warm clothing this winter season. With assistance from Ann McGuire, teacher-assistant at James Wilson Young Middle School who volunteers at the Patchogue Neighborhoods Soup Kitchen, the school was able to collect more than 100 sweatshirts that were distributed just in time for the cold winter temperatures. The district would like to thank the members of the Eighth Grade Class Club, and those in the community who helped to support this great cause.